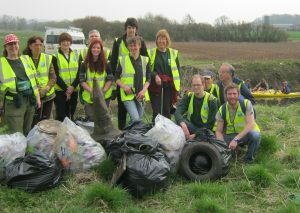 Would you like to get involved in looking after the rivers of the Stour Valley? 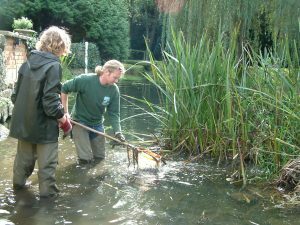 Through our volunteer River Wardens programme, you can get hands on with the river environment and bring real benefits for people and wildlife. You can commit to as little or as much time as you want, choose the tasks and training you want to take on, and the area you want to look after. After training, you’ll be given your own section of river to warden, carrying out wildlife surveys, reporting problems and helping to maintain riverside paths. 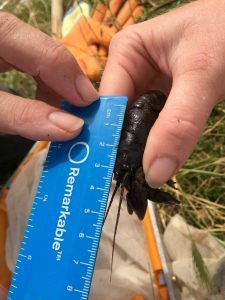 Learn all about river habitats: what makes a natural river and what problems rivers are facing, how to identify and record important species that live on rivers, how to recognise natural features of rivers, flooding issues. How to recognise problem plants and animals in river environments and what to do about them. Patrolling, litter picking and footpath maintenance tasks, safe working; how to report problems such as obstructions and local flooding. 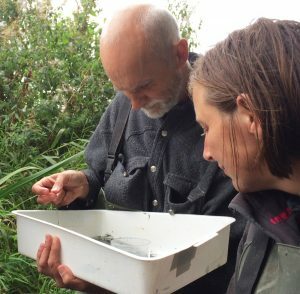 How to do surveys for declining mammals like water vole, water shrew and otter, as well as problem species such as mink. An important job – populations of these aquatic insects indicate the health of the river. How to sample river water and test it for pollution; how to report any pollution incidents you see. No previous experience or qualifications are required. All equipment will be provided, training is free and you’ll be able to claim travel expenses. Wherever possible, you will be looking after a stretch of river close to where you live, so this is a real opportunity to do something for your local community and environment. You’ll meet new people at training and social activities, and wardens can work in pairs or small groups if they want to. For anyone thinking about a career in conservation or countryside management, this would be a great addition to your CV!